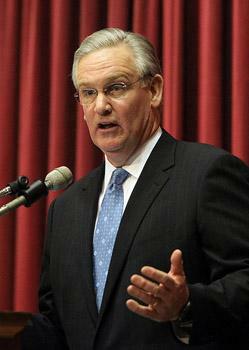 Governor Jay Nixon has already appeared more willing to spar with Republicans than he has in the past. He’s taken a stance for Medicaid expansion and against arming teachers, two stances incongruous with Republican leadership. Although Democratic Governor Jay Nixon is used to a statehouse that’s firmly in Republican control, this will be the first time he’s dealt with a veto-proof GOP majority. “Yes, it’s veto-proof, but both the senate and the house are just one or two votes above that. The larger the majority, the more difficult it is to keep that majority together,” said Terry Jones. Jones added that the veto-proof majority is somewhat tenuous, and contingent upon almost all Republicans voting in agreement. St. Louis Public Radio and Beyond November reporter Chris McDaniel contributed to this report. 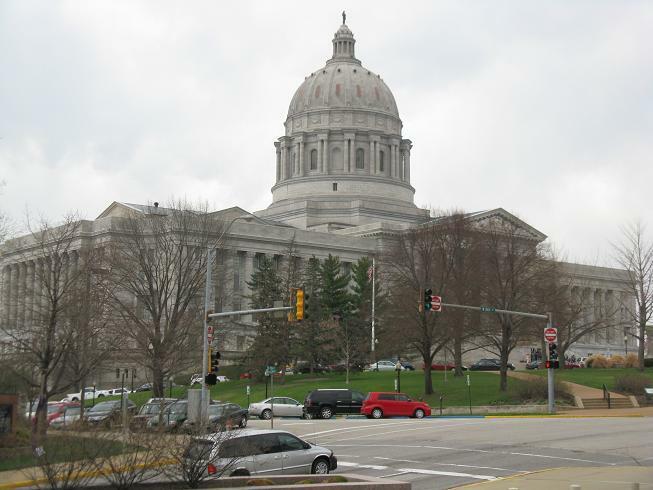 Missouri lawmakers return to Jefferson City this week for the start of the 2013 regular session. So far it appears that this year’s dominating issue will be the expansion of Medicaid, which Democratic Governor Jay Nixon has called for and which Republican leaders in both chambers say won’t happen. St. Louis Public Radio’s Marshall Griffin takes a closer look at that looming battle and other issues facing Missouri lawmakers this year. Missouri Democratic Gov. Jay Nixon spent his first term compromising with and sometimes challenging the Republican-led Legislature. But now Nixon faces supermajorities in both the House and Senate with enough Republicans to override his vetoes. Republicans will control 24 of the 34 Senate seats for the 2013 legislative session. House Republicans will have 110 of 163 districts. House Speaker Tim Jones says he hopes the new dynamic will prompt earlier discussion and negotiation between legislative leaders and Nixon.